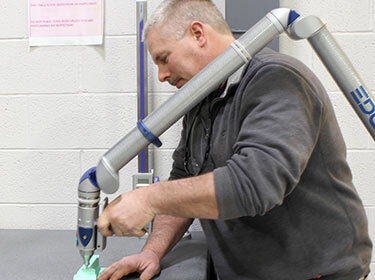 Fulcrum maintains an organic fabrication capability specializing in rapid prototyping, and low rate initial production (LRIP). 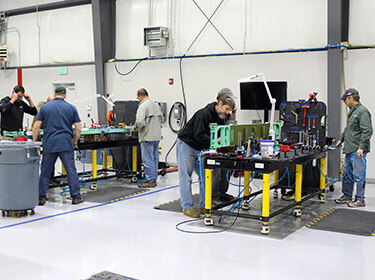 Having our fabrication, assembly, and engineering infrastructure within a single facility enhances our efficiency, and enables us to control critical path items tied to production. We also leverage a team of approved vendors to augment our fabrication capability for those tasks requiring special capabilities or large volume. 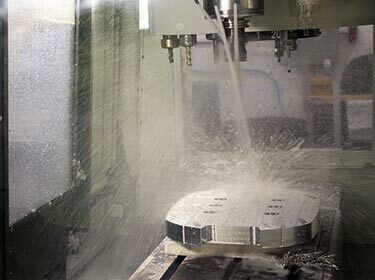 We maintain an in-house machining capability that includes programming. Our programming tools are compatible with our engineering tools, which enables us to perform model based machining. Most of our work involves the machining of various aluminum alloys for aircraft related parts. Our programs are maintained in our configuration management system as part of the data package for each of the components we design and manufacture. Fulcrum maintains a full complement of sheetmetal related tooling for the fabrication of sheetmetal components. The vast majority of our sheetmetal parts are fabricated from aluminum, and are aircraft related. At Fulcrum we produce many of the products that we have designed. A significant part of the process is assembling the subcomponents we have fabricated into final products. 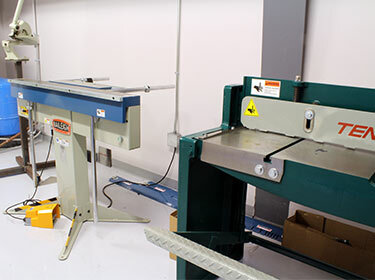 We use multiple fixture tables, tooling, and measurement devices that support our technicians as they assemble products to specification. Inspection is a critical, essential role in product development. A fast paced responsive production team, delivering to the latest customer requirements, needs inspection equipment that is equally responsive. 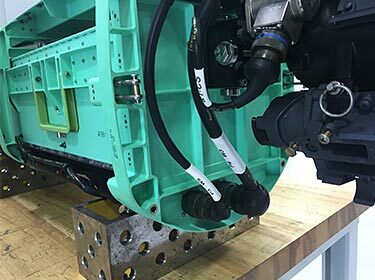 Fulcrum Concepts has implemented the use of a FARO Edge portable coordinate measuring machine for our solution to dimensional metrology, giving our team and our customer base the assurance that product is delivered to specification. We maintain the design tools and fabrication tools required to fabricate aircraft wiring harnesses. Our technicians have many years of experience building aircraft harnesses to spec.